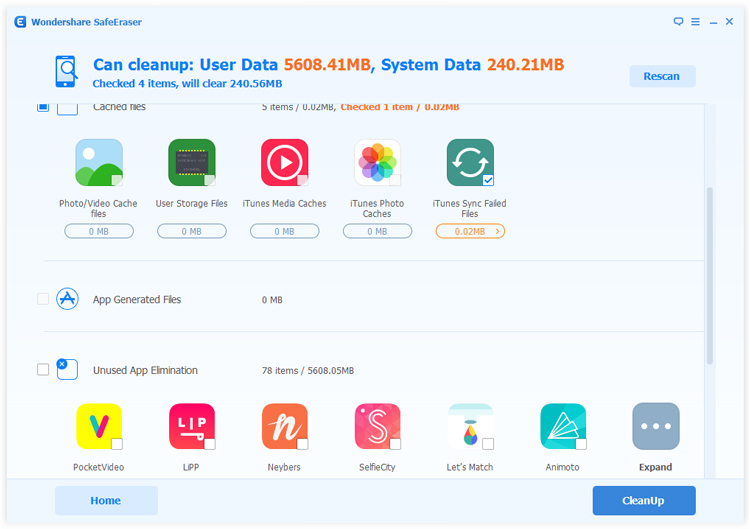 "I always clean up my iPhone 6S regularly, but I think that just cleaning up junk files on phone manually can not clean up junk files thoroughly. And I want to adopt a professional tool to help me clean up trash. Do you have any good recommendation?" It is a wise decision that choose to use a professional tool to deal with the certain aspect problem for you. As a matter of fact, we sincerely recommend Mobile Erase to you. 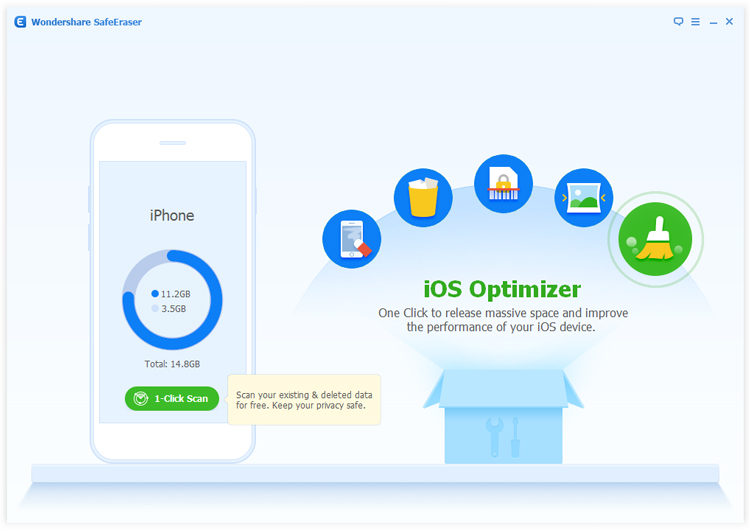 Most consumers are satisfied with this tool for it can not only delete unwanted files permanently, but can help them thoroughly clean up junk files and free up more space on their smart phones. In addition, Mobile Eraser is compatible with the latest Windows 10, iOS 8.4/iOS 9.3.2/iOS 9.3.3, iPhone 6s and iPhone 6s Plus. 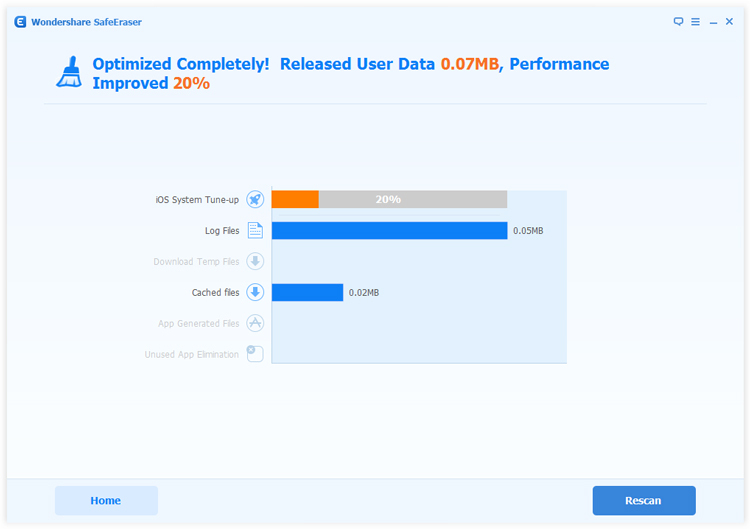 With Mobile Eraser's 1-Click Cleanup, our devices will perform at optimal speeds by removing junk files and unnecessary background processes to free up more space. Next, please follow our tutorial to have a try, before that, you can clicking the below buttons to download a trial version of Mobile Eraser on your PC. 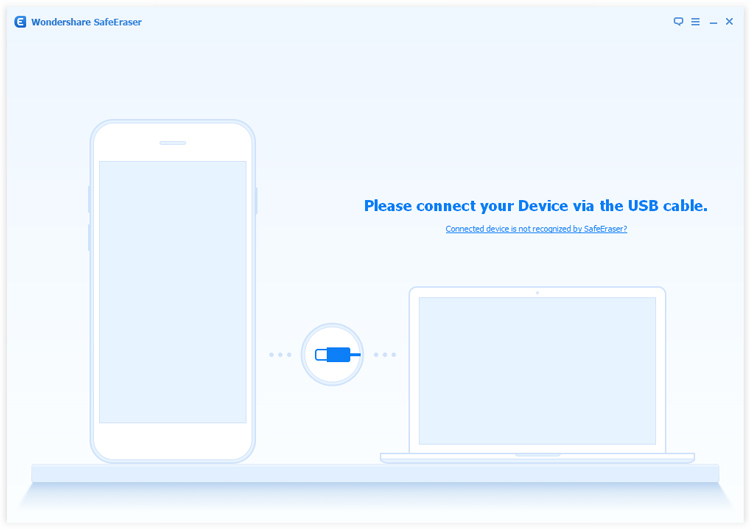 Launch the software on the computer and connect your iPhone 6/6S via USB cable. Then the program will recognize your phone soon, and show you your phone's information when it is detected. Tip: If your connected device is not recognized, you need to trust the computer on your device. As you can see, there are five options showing on the primary interface. After click “iOS Optimizer” button, you can see six categories of data on the new window. 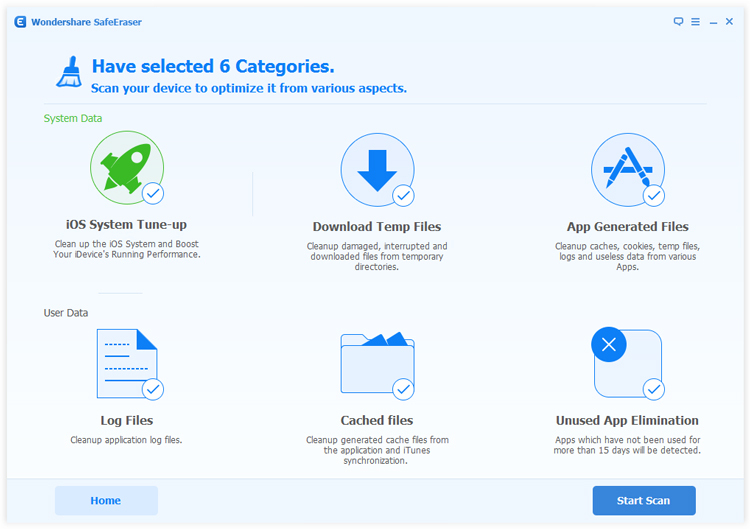 They are respectively iOS System Tune-up, Download Temp Files, App Generated Files, Log Files, Cached Files and Unused App Elimination. Select any categories you want to clean. After that, please press the “Start Scan” button which on the lower right corner of the screen, the Mobile Eraser will scan your device quickly. When the scanning process finishes, all the categories and files will be displayed to you and the program will show you how much user data and system data it can cleanup. These displayed files can be optimized, so select files you want to optimize. And then type “Cleanup” button to optimize them in a click. And then, your device will be rebooted automatically. After that, a pop-up message will show you how much space you've saved and how much performance you’ve improved. OK, that's all. Now, you can find that your iPhone become more fluent, and save a lot of space.